VIC did not finish - Bow: D Laird, 2: Mark F Shea, 3: L Sydney Davis, 4: H S Dickinson, 5: A S McGregor, 6: R Jenkin, 7: Harry Ross-Soden, Str: C G Davies, Cox: John S R Rowan, Emerg: H Rippingdale, Cch: Edward Horsburgh, Selectors: Thomas Crosthwaite, D Ross & Edward Kenny. This was the first victory in this event by South Australia. 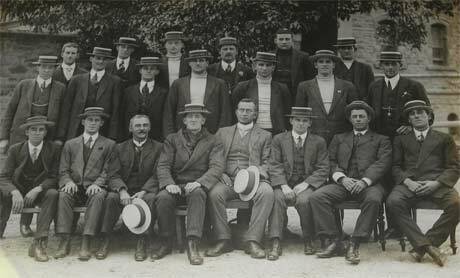 The crew was comprised solely of members of the Murray Bridge Rowing Club. The eights race was marred by very difficult and entirely unsuitable weather conditions. There were delays due to weather before the crews were allowed to embark for the race. The start was so difficult that the starter could not be heard and the Tasmanians started to row and SA and NSW followed—it was far from orthodox starting procedure. In fact, the Tasmanians reported that they had undertaken several strokes before the gun went off. WA were reported to be almost side on to the course at the time. Victoria and Queensland sank in the first two miles. NSW did not finish owing to swamping and their six man breaking a poppet string. WA stopped to empty their boat before completing the course five minutes after the other crews. The TAS crew sank immediately after the line. The SA crew took adequate precautions with bailers and wash boards. The newspaper headlines read "Funniest on Record. Coxswains and Billycans." The rowers would not have enjoyed this humour. Due to the poor racing, perhaps the most interesting story of this year was the trials and tribulations suffered by the Murray Bridge crew in gaining selection. Briefly, the State selectors appointed a combined city crew to represent the State. At the State Championship, Murray Bridge won the eights event easily against the other club crews who were weakened by the withdrawal of the State representatives. Murray Bridge naturally wanted to be appointed the State crew. A proposal was submitted to the Association that a test race be held to determine the issue. This proposal was rejected. However the debate raged. It became clear that the selected crew had not trained together well and there was some animosity within the crew. C L Abott of University stated "that the trouble had been caused by the dillydallying of the coach for nearly two months and that the crew had lost confidence in the coach." The coach and stroke resigned from the selected crew. Arthur Nicholls was then appointed as the new selector of the SA crew. 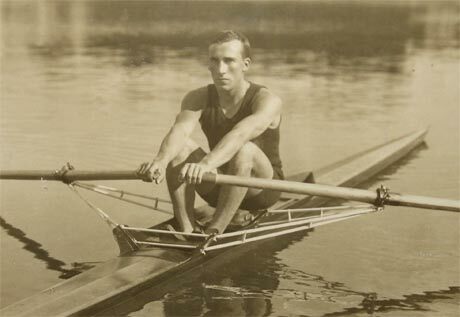 A test race was ordered by the Association after which Arthur Nicholls would select a crew. To complicate the matter further, accusations of professionalism were brought against some members of the Murray Bridge crew for having raced for cash prizes in foot and boat races. Copies of local newspaper reports of such races were submitted to the meeting. Port Adelaide and Murray Bridge were the only entries received for the test race. Finally the Murray Bridge crew was selected to race and they went onto win well. Cloverdale in the sculling race got an early lead and was impossible to stop in the adverse conditions. This event was raced as part of the Henley-on-Brisbane Regatta. It is debatable whether this constituted an Interstate "Championship" in the same manner as early intercolonial men's "Championships". In other words, although they were crews from more than one state, they were without Associations to provide sanction and the crews were perhaps not of a representative nature. However the racing was of great interest and like the early men's intercolonial races, of great importance in the development of the sport. The 1920 race should probably be regarded as the first Championship for the Women's Four. Victoria rated higher and got an early lead. The Queenslanders with longer strokes caught the Victorians in the last 100 yards to win by two feet, the same margin as the race in 1912.